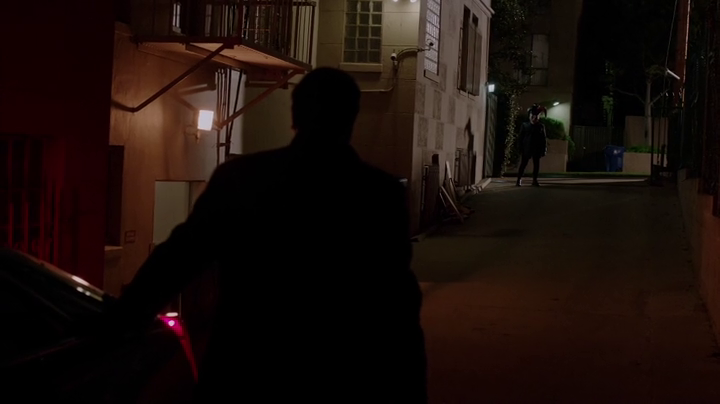 Stalking STALKER: S01E12 - "Secrets and Lies"
After the extremely long winter mid-season break that many, if not all, shows go through, STALKER has finally returned! And in typical fashion, the return started with a bang and ended with one helluva cliffhanger. Stalker -- S01E12 -- "Secrets and Lies"
I can't stress enough how happy I am that shows are returning from the mid-season break. This pleases me. So STALKER returned Wednesday night (along with a plethora of great shows) and I was eager to return to the series. The cold opening in "Secrets and Lies" was a little harder to guess this time around. The episode kicks off in an upscale office building, the Mayor's office, to be precise. A delivery man delivers a mysterious package, which the secretary has no problem tearing the box apart. 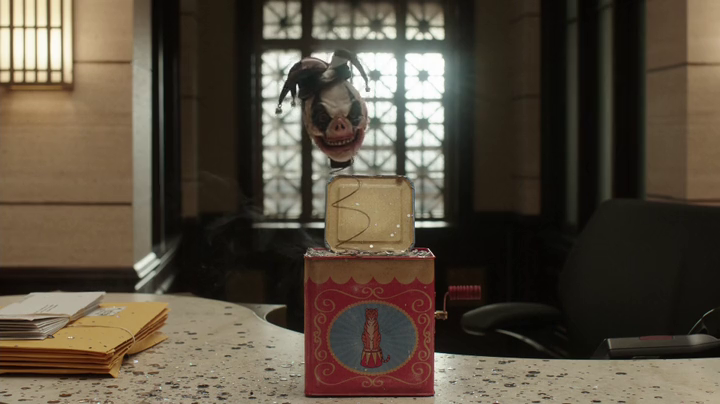 The mysterious package ended up being an ominous little Jack-in-the-Box, which for some reason instantly reminded me of the teaser trailer for CHILD'S PLAY 2, but that's a story for another day. For fear that it's a bomb, a security officer begins evacuating the immediate area as the box begins to play music and the crank turns. However, the image you see above of the Jack-in-the-Box is exactly what happens. 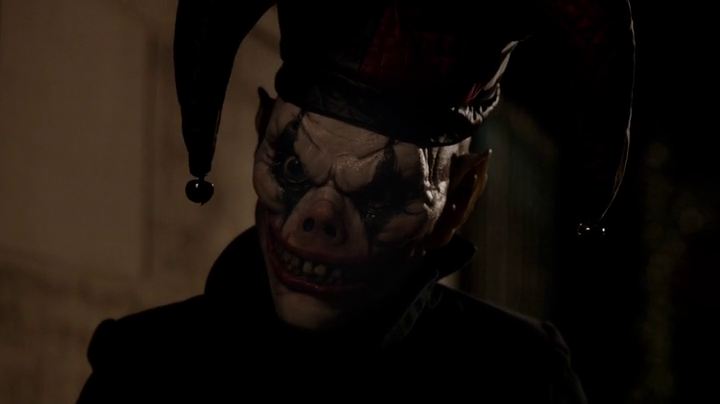 An eerie looking Jester pops out. Smash cut to title card. Where's the killing, I ask. Seems there hasn't been an actual murder in the show since the first few episodes (which were really intense, by the way). The main conflict in this episode is about an illegitimate daughter of the Mayor's, who re-enters his life. And as soon as that happens is when things begin to take a sinister twist (ie: the package and a villain wearing a similar mask). Turns out that the stalker in this episode is the son that the Mayor, ridden with a little jealousy over the fact that he has a half-sister, and he pines for his father's attention. Basically the plot of SCREAM 3, just reversed. But there's a second surprise antagonist who threatens to spoil the homecoming. And now for the subplots! This episode tackles a huge chunk of Beth's. Her stalker bails out of jail and disappears. The episode ends with him visiting the asylum where Beth's original attacker from her past resides. All hell is about to break loose. And as for Jack, his subplot is delved into a little bit. His son's mother is coming around more and more. There's another planned visitation with his son for the coming weekend. Nice to see that story is coming to a happy close -- although I still feel like some kind of curveball is going to be thrown our way. Next episode: S01E13 -- "The News"